Lead & Nickel Free! 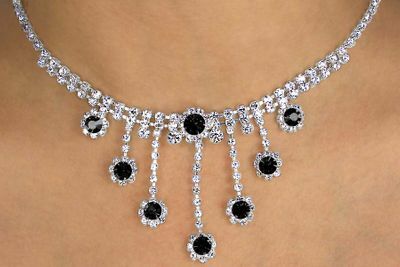 Lobster Clasp Necklace Sparkles With Genuine Austrian Crystal Flowers With et Black Centers. Necklace Includes Matching Pierced Earrings. Necklace Measures 14" Long, Plus 4" Extender. 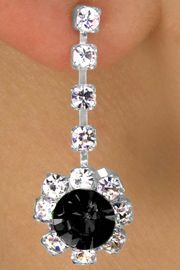 Earrings Measure 1"L x 1/2"W.
Scroll To The Bottom For Available Assortment!